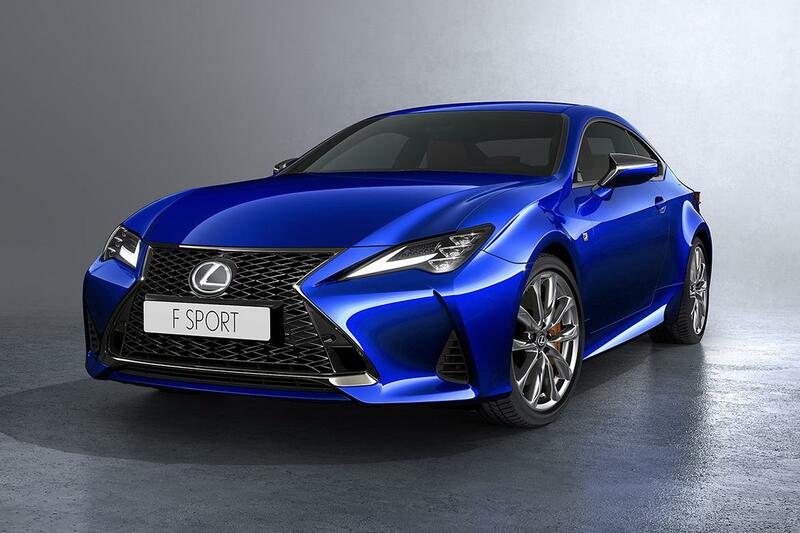 ahead of a full global debut at the 2018 paris motor showin october, lexus has hinted at what's to come for its 2019 rc coupe, first introduced for the 2015 model year. this refresh will involve some nips and tucks on the exterior to go along with a few interior refinements as well as updates to the rc's tires and suspension. we've picked out the three key things to look for in the updated 2019 rc below. lexus says the rc will receive new 19-inch wheels and grippier tires, along with updated suspension components. the goals here are what the automaker claims to be "extremely supple ride quality and razor-sharp handling characteristics," which: maybe? no one's driven the 2019 rc yet, so that claim may or may not be true, but any effort to improve handling in any vehicle is at least worthy of appreciation. aerodynamic changes, including new rear bumper ducts and a new fin shape on the base of the side mirrors — seriously — are intended to improve the rc's stability. the rc is getting a revised front bumper design, specifically at the corners, where the lines now continue downward from the headlights. the aforementioned air ducts at the rear are also a new visual element. lexus' signature spindle grille is still present (for better or worse), but the mesh pattern is new and changes from top to bottom. f sport trim levels of the rc also get a new and different grille pattern that has been appearing on other models in the lexus lineup, and unique 19-inch wheels are inspired by those on the ls and lc. triple led headlights are optional, as are l-shaped clearance lights, and the l-shaped lights continue in the rear with updated taillights. finally, there's a new exterior color, blue vortex metallic, making for 10 available hues in total. the multimedia system and climate controls get a different-looking surround, and that same treatment will also be standard throughout the cabin of f sport models. lexus makes no mention of the multimedia setup, so we're likely stuck the oft-maligned-at- remote touch with a touchpad as seen in the photos below. that's it, really. details are scant — no pricing or on-sale date deets are available yet — but we should have more once the global reveal occurs sometime in early october.